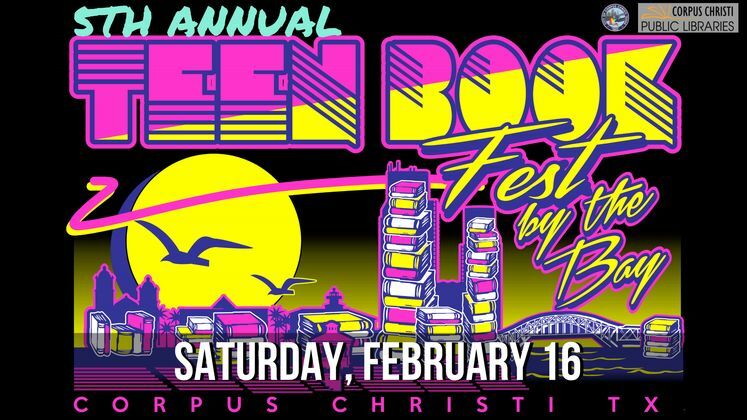 CORPUS CHRISTI, TX – Hoping to encourage South Texas teens to fall in love with reading, the 5th Annual Teen Bookfest by the Bay will be held Saturday, February 16 from 9:00 a.m. to 4:30 p.m. at the American Bank Center, 1901 N. Shoreline Boulevard. The event will include 33 authors from around the country along with New York Times Bestselling Authors Mackenzi Lee, Pintip Dun and C.C. Hunter. Authors will sign books, participate in discussion panels and interact with guests during the one-day only free event. For more information and complete schedule of events visit www.teenbookfestbythebay.org.